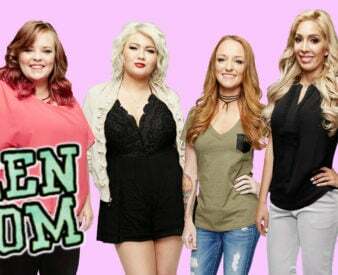 It looks like the ‘Teen Mom’ fans have been duped! Even though Javi and Briana’s relationship made such a splash in the fanbase, now it looks like it was all faked for TV! Sometimes, it’s hard to keep up with the relationships in the Teen Mom world. They come and go so quickly that by the time you’re up to date on who’s dating who, the relationship has been called off. But this update from Briana DeJesus paints her last relationship in an entirely different light. Briana DeJesus’ dating life has always been a bit rocky. She was disappointed time and again when her first baby daddy Devoin Austin flaked on helping her raise their daughter Nova. As for her second baby daddy Luis, he’s hardly been present in their daughter Stella’s life from the very beginning. It’s no wonder that Briana was ready to move into a relationship with someone she could rely on and provide for her for years to come. It’s not that fans didn’t expect her to find love — it’s that they didn’t expect her to find it in the arms of Javi Marroquin! Even though it’s not hard to see why Briana set her eyes on him, fans were shocked that she ignored the stigma of dating a co-star’s ex in order to try and make it work.